I think whenever you make a major life change there is a compulsion to justify it with optimism and cheer, even if it is sometimes forced. Because if the new situation isn’t better, why did you blow up your life? Why did you get that new car or change jobs or buy that house or move across the world if you aren’t happier? This was true for me, anyway. When we first moved here, I met every obstacle with a sort of manic enthusiasm. Oh, the sidewalk is busted and there are three cars parked in the middle of it? No problem, that eight block detour lets us explore more of the neighborhood! Ooo, more dog feces on the sidewalk, how charming! I wanted everything to be great, and I was going to enjoy it. NO MATTER WHAT. The wheels started coming off the wagon around the time we went to Germany in December. Everything was just so easy there. Sidewalks were in good working order. Pedestrian zones abounded. Public transportation was a snap. Restaurants were open when we wanted them to be. It was convenient. It was nice. It made me realize how different things in Rome are. I slowly started to acknowledge that there are some annoyances here. The sidewalks and roads frustrate me on a daily basis. I’d love to be able to walk around without being stuck behind smokers. It would be great if the hard water didn’t leave grit and film on our dishes and glassware. Things aren’t perfect. And that’s OK. Because nothing is perfect all the time. Some days are good. Some days are bad. And some days are just, you know, ordinary days. This is normal. This was true when we lived in DC. It is true now. I do have plenty of highs to go with the lows. I’m spending oodles of time with my two adorable weirdos. (This is sometimes also a low, but generally a positive.) I’m eating pasta so good that it would make you cry. I haven’t seen snow all winter. There is so much here to do and explore. 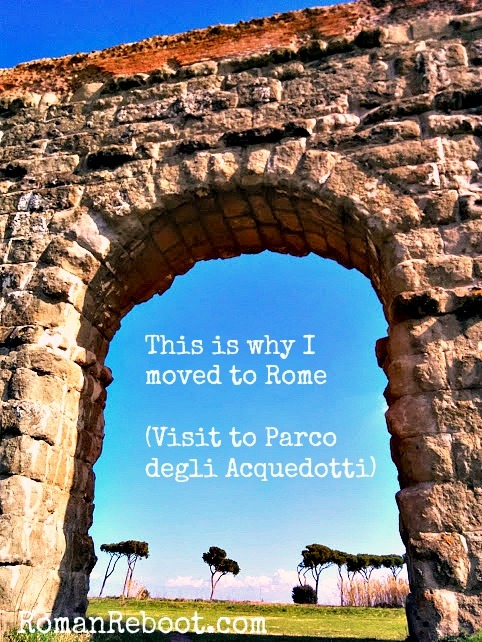 Recently, we ventured over to Parco degli Acquedotti (Aqueduct Park). 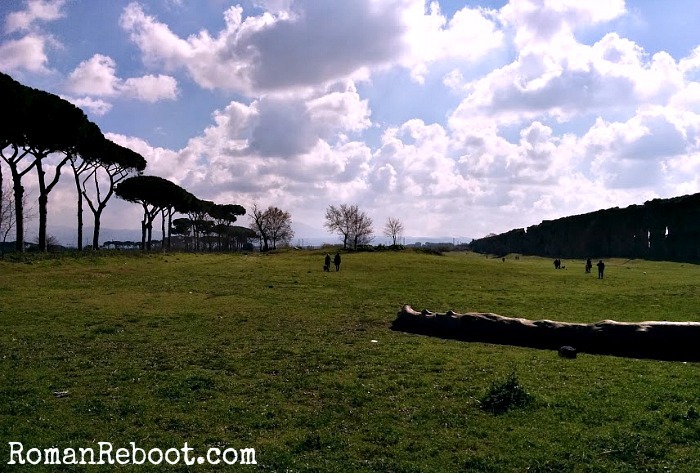 We drove–and James is driving a bit more Roman today than my stomach likes–but you can easily get here on the metro. 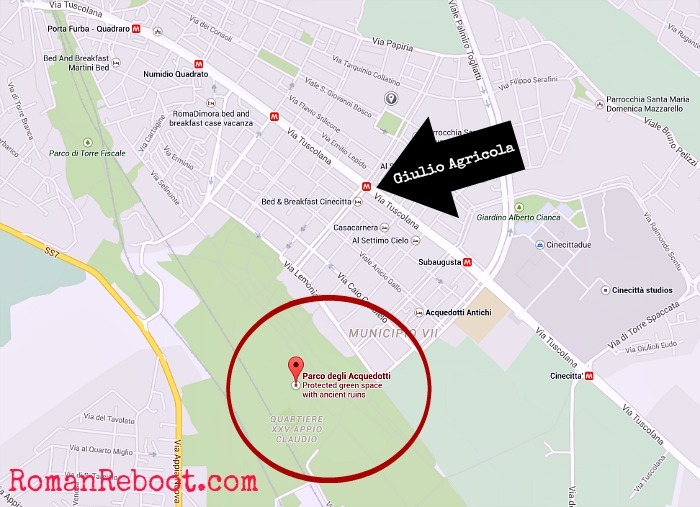 A few stops would work, but Giulio Agricola is probably your best bet coming from downtown. 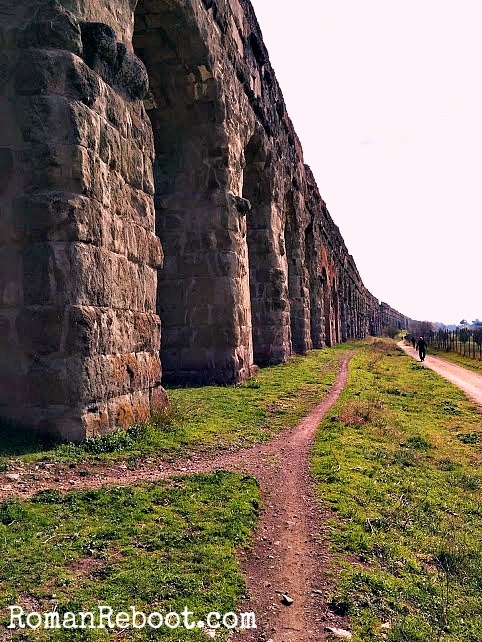 The park is a relatively flat stretch of land that is crossed by, you guessed it, an ancient Roman aqueduct. 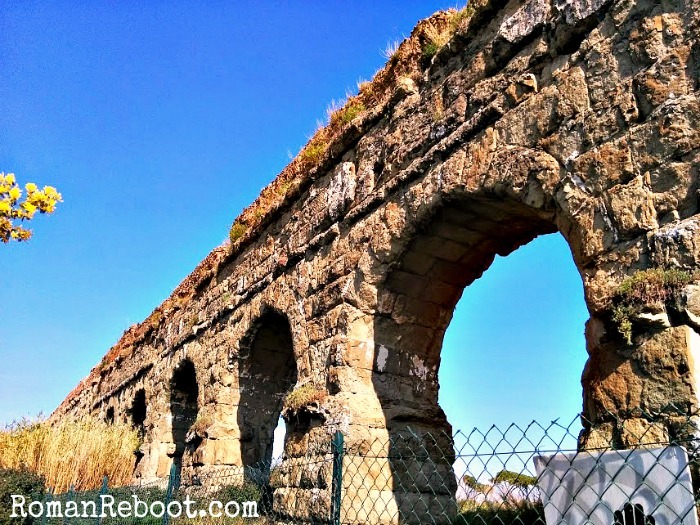 There are actually two aqueducts, but one is in better shape. 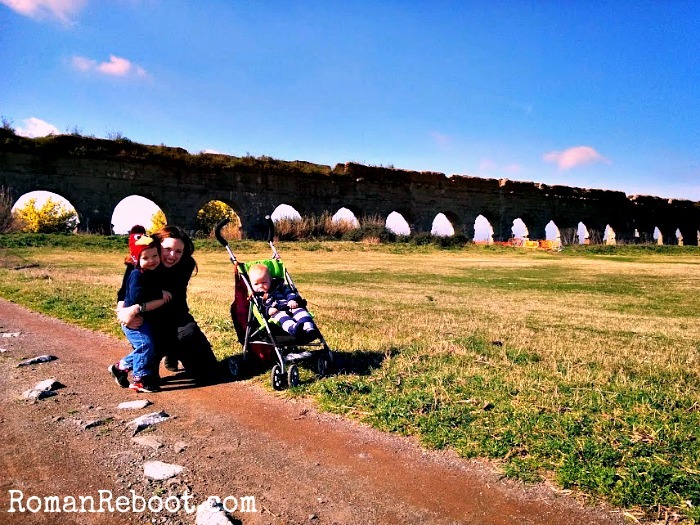 We stalled Henry from the playground long enough to do a walk by the aqueduct. Even though it was February, the temperature was up in the 60s. In the sun, it almost felt hot, and we ditched coats for the first time of the year. 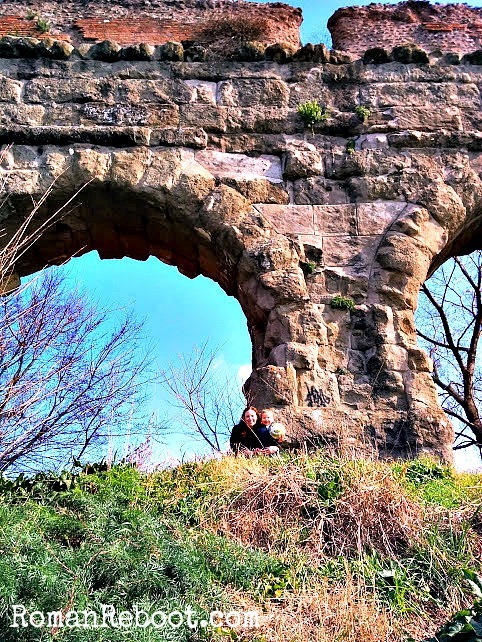 I pushed Mac along the path, contemplating the civilization that created these aqueducts that would stand for hundreds and hundreds of years. 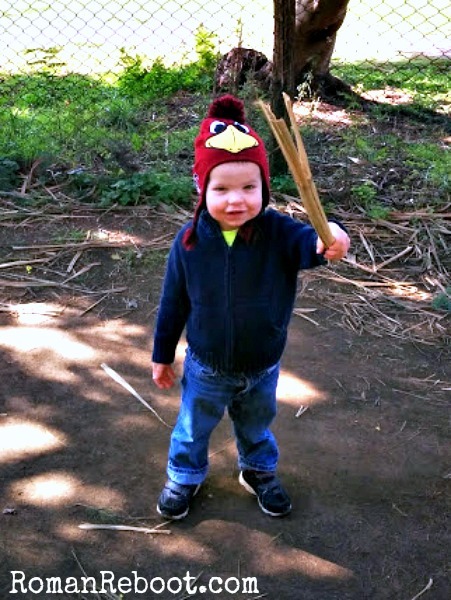 I watched Henry kicking a soccer ball up and down the path. I smiled at James in the bright sunlight, soaking in the coatless February weather. And I just thought–THIS. This is why I wanted to move to Rome. And this post is why I read your blog-heartfelt, gritty and uplifting :). The grass is always greener, as they say. Kudos to you for taking the ups and downs of your new adventure in stride. Sending you vibes of more sunshine and less smokers…. Thanks, man. That really means a lot.